Very Good. 'Brilliant' New York Times Book Review------One of the most influential American novels to be produced in the twentieth century. 956 p.
Good. Some read/shelf wear and tanning pages. Good, solid, has some wear, unmarked text, tanned pages, a good copy. We take great pride in accurately describing the condition of our books, ship within 48 hours and offer a 100% money back guarantee. We take great pride in accurately describing the condition of our books and media, ship within 48 hours, and offer a 100% money back guarantee. I first read this novel 50 years ago when it was left behind in an apartment I rented in Manhattan. It bothered me that no one else seemed to know about it. Several years later, it began to turn up on university reading lists. Now I have just finished reading it for the second time and enjoyed it even more. 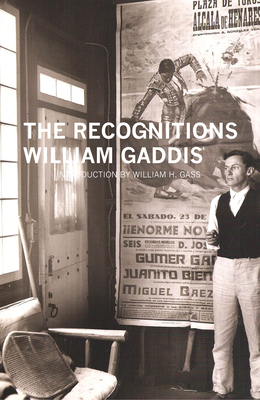 Google it for explanatory notes to enhance your understanding of just how brilliant Gaddis was.